You've probably heard this before. Fire two shots to the assailant's check and then another to the head. This drill was popularized by Jeff Cooper after he heard a story from a mercenary who fought in the Mozambique wars of the 1960s. According to the story the shooter fired two shots into the torso of the attacker who continued to approach. Surprised that the two shots to the torso had not disabled the attacker he then took a more deliberate shot to the head and stopped the attack. Since the head is a much smaller target shooters are trained to always aim for the torso. The torso is a more consistent and larger target. That said the only shot placement guaranteed to fully disable an attacker is in the brain. Since the skull is very hard to penetrate shots need good placement even on the head in order to fully disable the attacker. And so, with this in mind Jeff Cooper created and taught the “Mozambique Drill” teaching his students to take two quick shots to the torso and then a slower and more deliberate shot to the head. To Train This Drill place your target between 7 and 10 feet out. 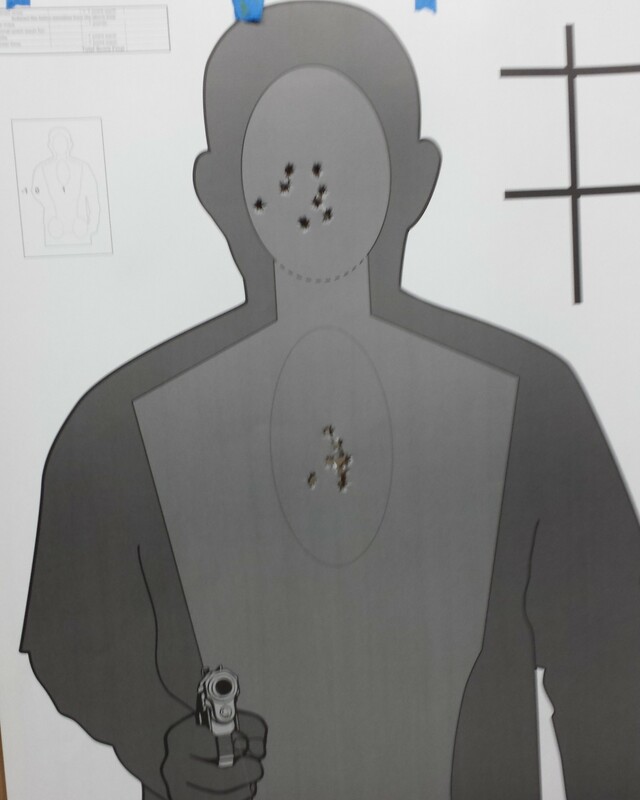 Use a silhouette target or use two separate targets for the torso and the head. Start slowly with deliberate motions and then increase speed. Focus on taking a pause before the head shot to really ensure accuracy. When this becomes easier add a second target to the side and practice the drill on both targets. You may try shooting all 4 torso shots and then returning for the head shots. Remember the idea here is to stop the attacker with the 2 shots to the torso then re-access the situation and take the head shot if necessary. WHAT MOB COUNTRY ,,, DOES 2 – SHOOTS 2- THE CHEST AND1 TO THE HEAD ??? RUSSIAN MOB??? Jeff Cooper coined the phrase from his friend Mike Rousseau who first used the technique in Mozambique which he later relade it to Cooper. I was in the US Army. It was drilled into us really well. We did what is called, “reflexive shooting training” on this technique. It is called the Mozambique Drill. 2 to the chest, one in the head. But we were taught, “2 to the head, 1 in the chest” which is what our Drills in the US Army would say, which I assume, and would, interpret as “The American Drill” just to 1 up the Mozambique Militia that coined the term. Reasoning is, is to ensure that op-4 tango is deemed completely expired and extinguished, without a doubt. Expert marksmanship is a must. At least within 100 meters. Happy hunting Boyos. Back in 1961, when the sidearm was a .45 cal pistol we were trained to aim inthe center of the visible mass, this was usually enough to disable an enemy.aim to the head was only to finish the job.